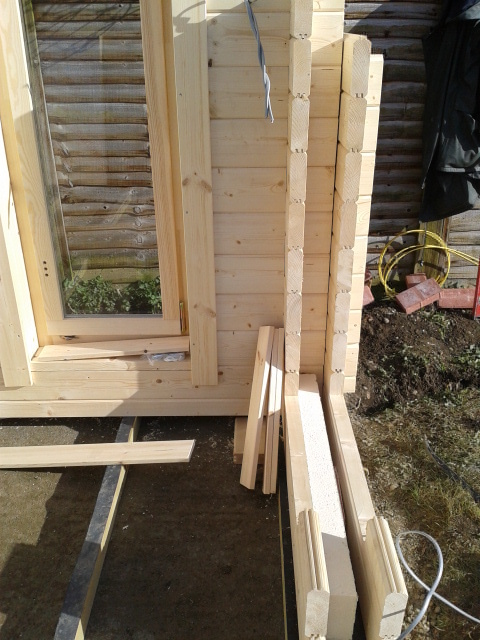 When you receive an Orkney log cabin it is one of the more substantial pallets of timber you are likely to have come across! With 70mm thick wall logs and 25mm thick floor timbers, 22mm roof boards and even 12mm ceiling boards to cover insulation there is a lot of timber in the pack! The base was already prepared for this one so having transferred the cabin round the back we could press on with the assembly. 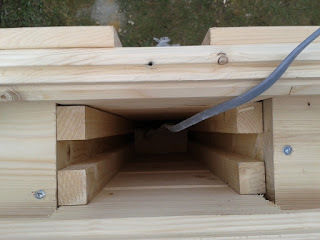 Threaded bars are located in each corner in pre-drilled holes in the logs. 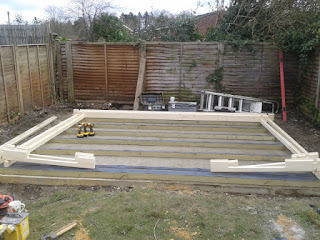 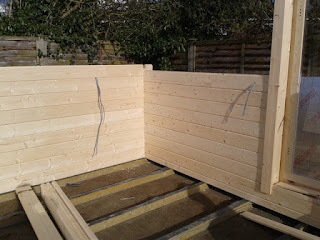 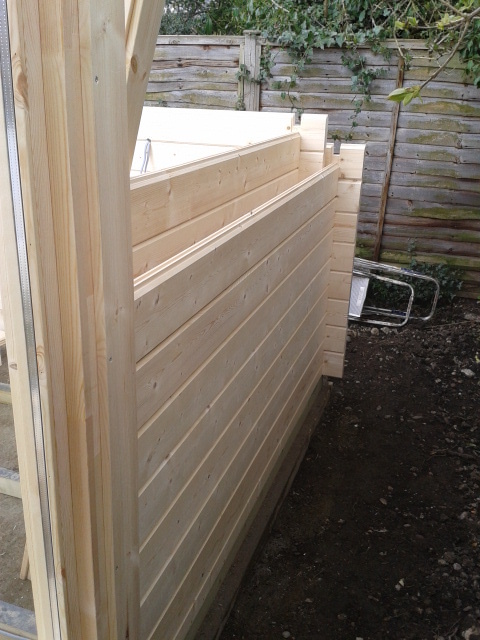 With the porch decking in place we can fit the post to support the roof. 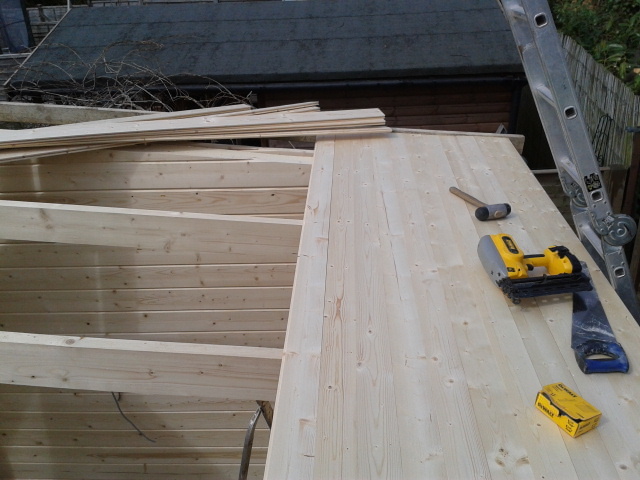 Roof boards and the first row of finishing trim in place. 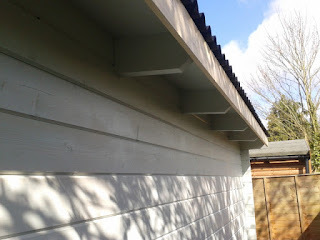 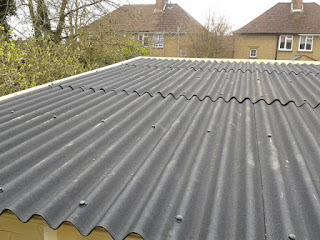 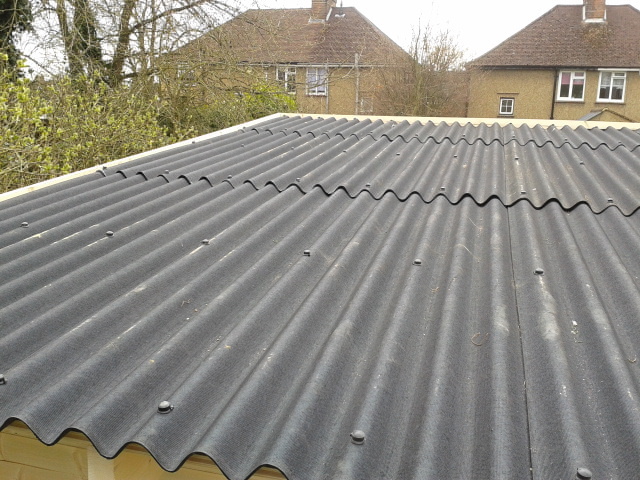 All the finishing trim fitted and corrugated roofing sheets in place. 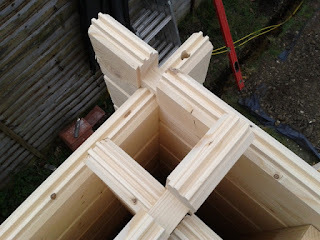 Tongue and groove for the ceiling is included in the kit and the substantial roof joists provide plenty of room for the ceiling insulation. 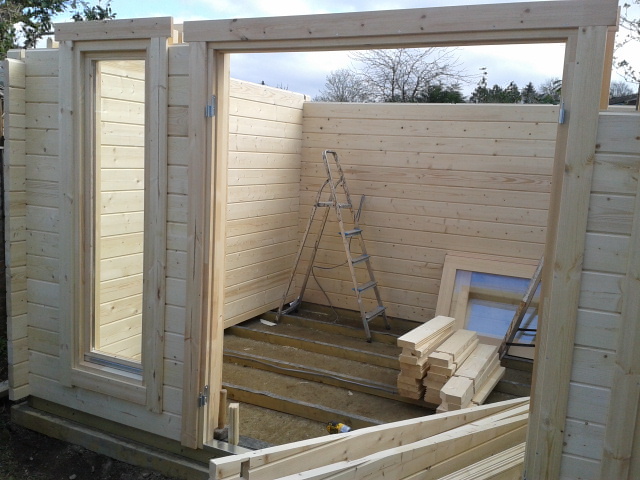 Installation of our first Gloucester log cabin of 2013. 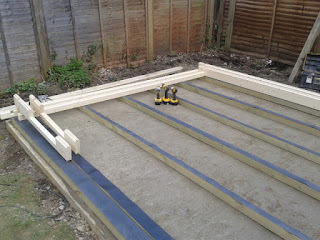 Pressure treated floor bearers ready with dpm in place. 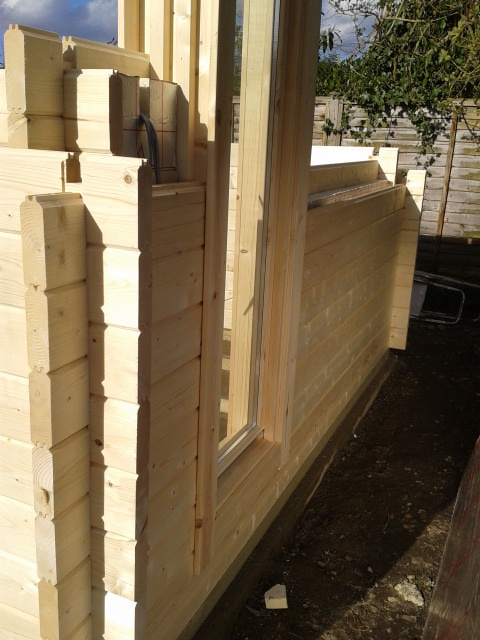 44mm thick walls with a 100mm cavity. Arranging the timbers for the front windows. 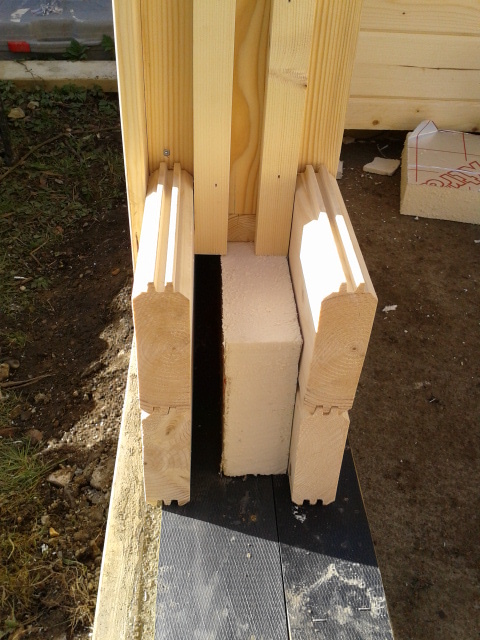 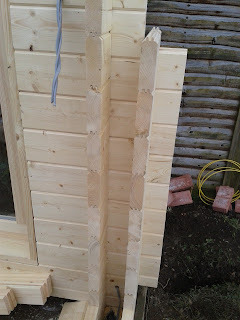 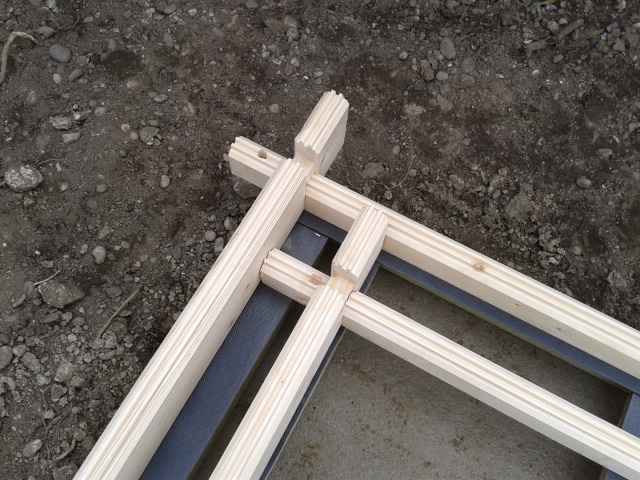 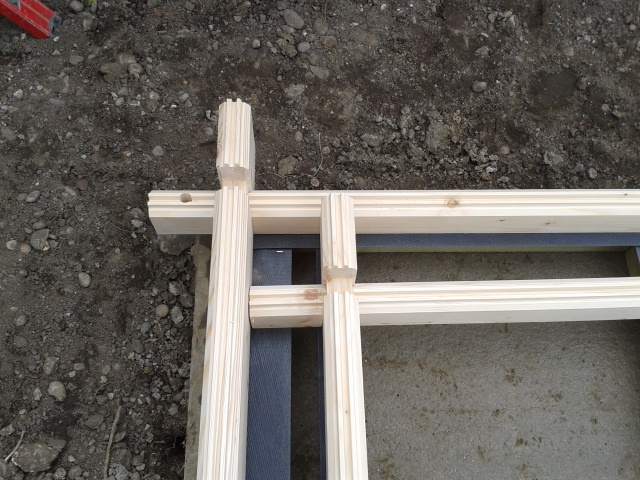 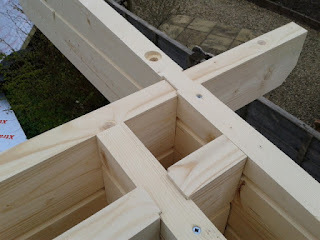 A closer look at the arrangement of the timbers to create the 100mm cavity. 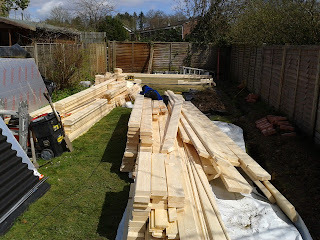 A few of the pieces of a very big jigsaw! One fo the front walls taking shape ready for the front window to be fitted. A view of the side window in place and the walls half built. 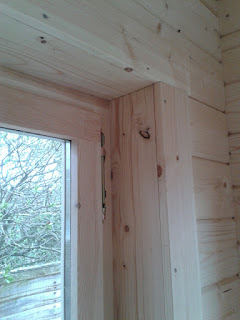 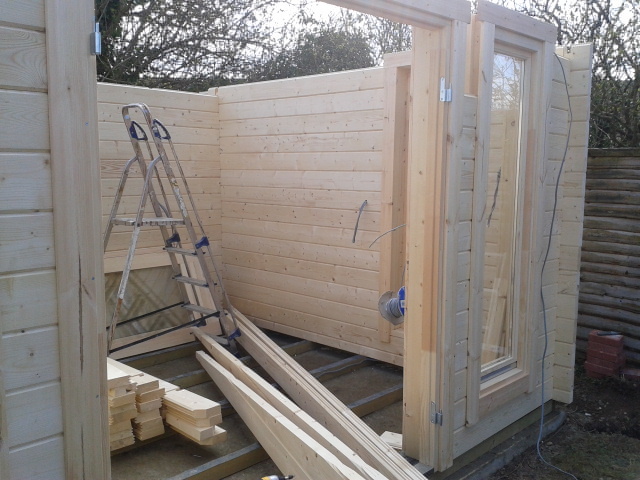 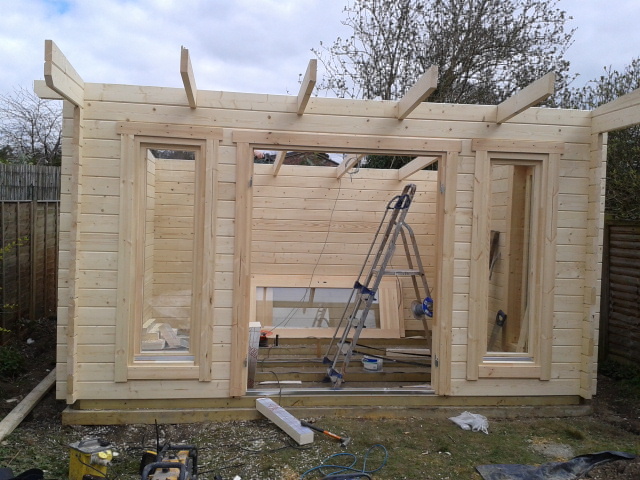 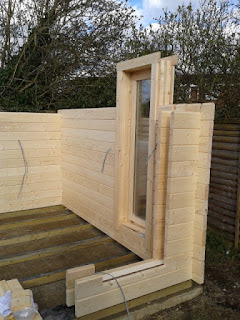 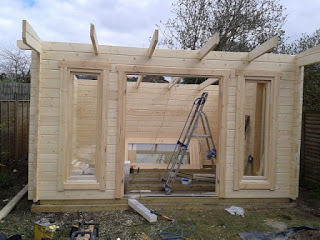 The beauty of a twin walled log cabin is that the electrics can be concealed between the cavities. 70mm Extratherm foil backed insulation boards are fitted in the cavity. Front windows and door frame in place. Walls finished and roof joists in place. Deep window returns typical of a thick twin walled log cabin. 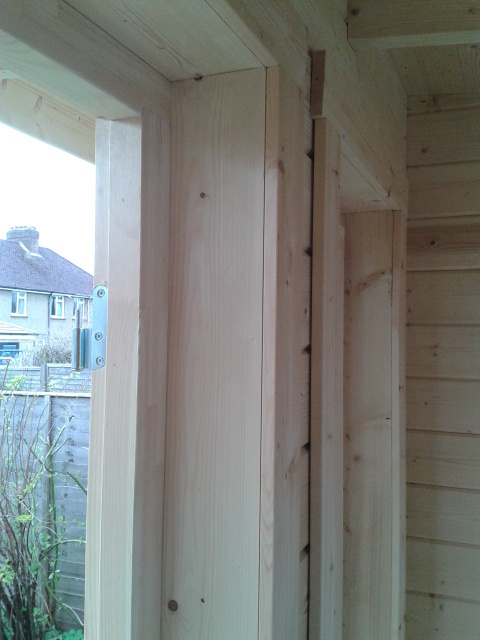 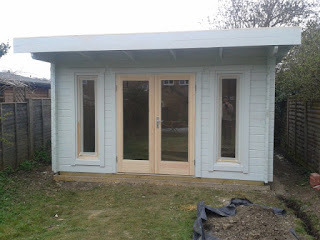 The Gloucester log cabin with a coat of undercoat almost complete.